UPDATE: Click here to see the full hi-res banner! A brand new OFFICIAL outdoor teaser billboard for Catching Fire has been revealed! Torii, the #1 fan with the most sparks over at TheHungerGamesExplorer.com had the honour of sharing it with us. 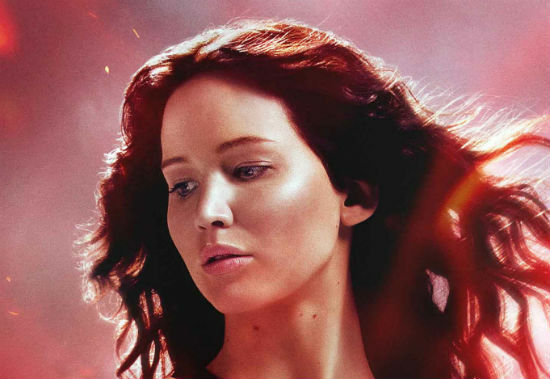 "Before we begin, we have a very special photo for you, brought to you all the way from the Capitol! 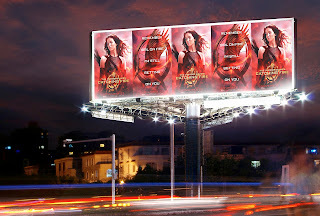 Here is it, the first look at the official Catching Fire teaser outdoor art."